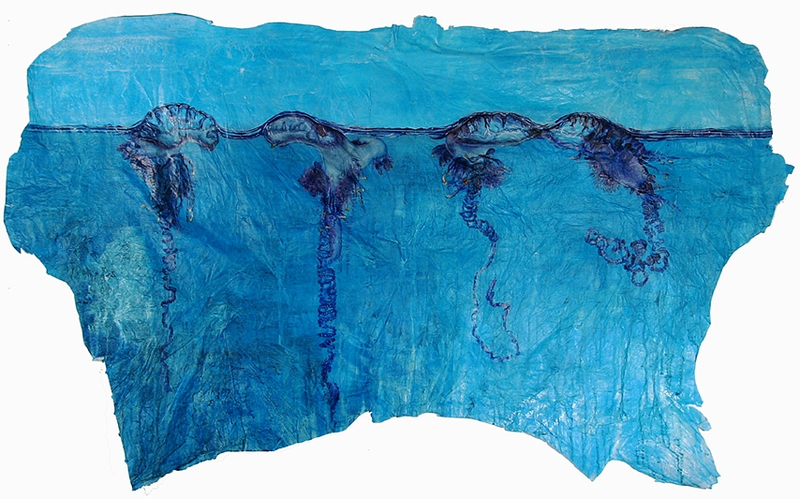 Last week I did a post on jellies as living art. 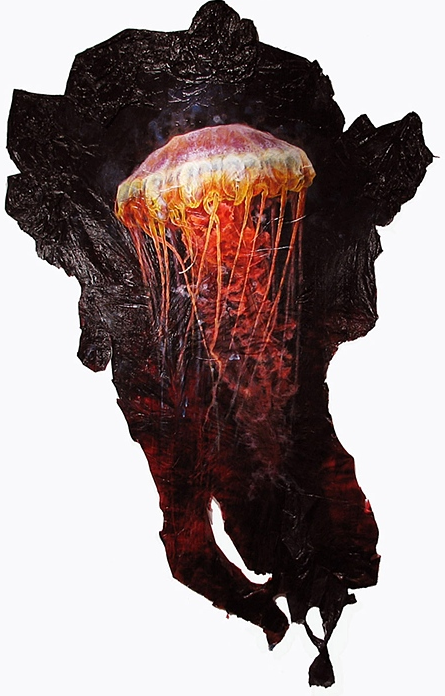 Now it’s time to celebrate the ways jellies have influenced art. 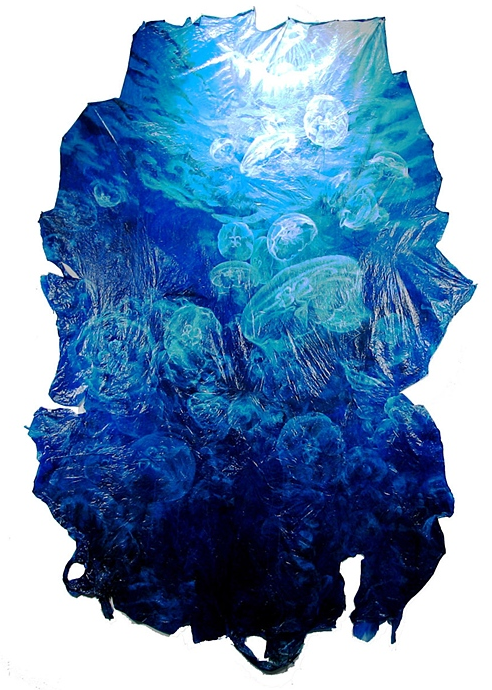 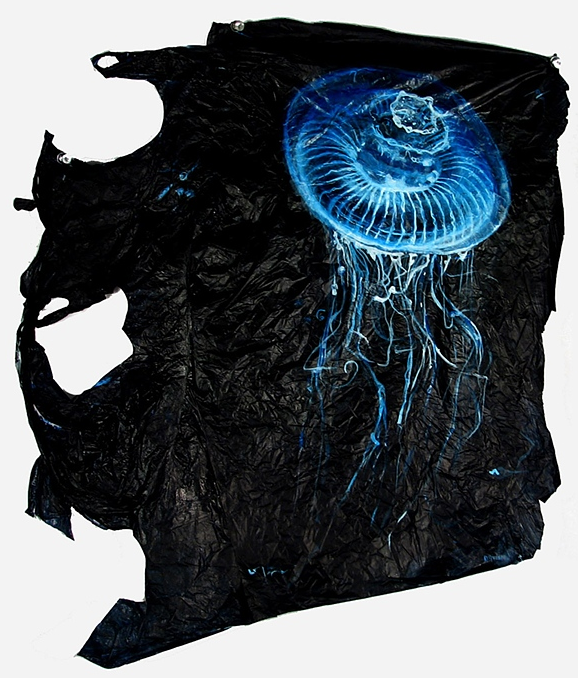 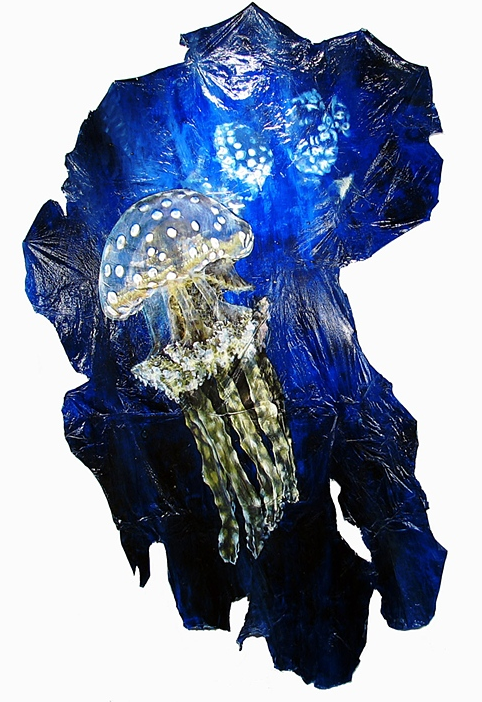 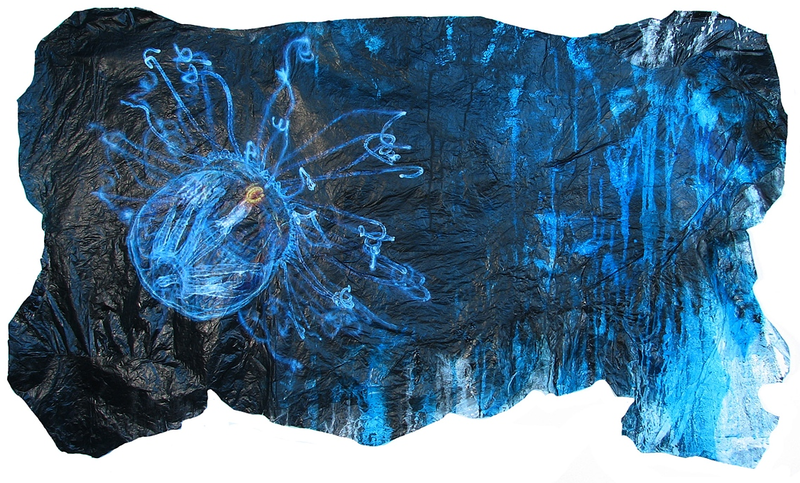 This series, painted on trash bags, by Kara Daving is fantastic. 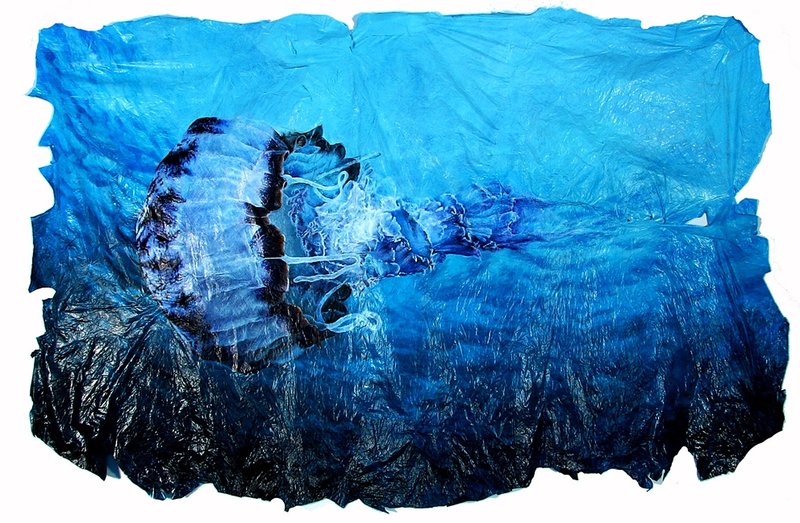 What a great way to transform something ugly into something beautiful.